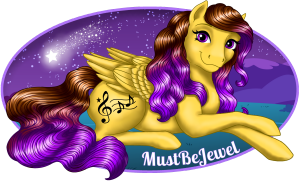 This forum is for artists to share photos of their My Little Pony-related artwork. Keep all content within the Site Rules. Please do not link to off-site pages or sales venues. For help in posting images, take a look in the Site Help forum. You may cross-post any custom sale threads in the Want to Sell, Want to Trade, or Auctions forum. 1) Create a new thread in the Customs or Artwork subforum. 2) Look for the option beside the Thread Title to choose your thread prefix. 4. Add your thread content and submit your thread. Thank you for clarifying things!